We search for caregivers that we are certain our clients will welcome. 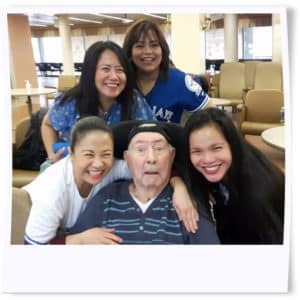 We know it is important our caregivers have not only the right skills but also the personality that will ensure you enjoy having them in your home. We meet with you prior to setting up services so that we make sure we select the best and most qualified caregiver for your individual needs. Receiving home care services from Selectacare will give you peace of mind. Our caregivers have police checks and are trained, bonded, insured and supervised for your protection. We want to make sure our clients don’t have the risk and liability that often comes with employing private caregivers directly. Our staff focus on quality of life and assist in the way a family member would. With a range in skills and backgrounds, our services can be tailored to meet your specific needs. As your needs change, you can trust our home care services to change and adapt to you. We strive to recruit, train and motivate an enthusiastic, highly dependable group of people who most of all “care”.